SUNWAY gap up after announcement "Proposed BONUS ISSUE of Shares". Will it close the gap up? 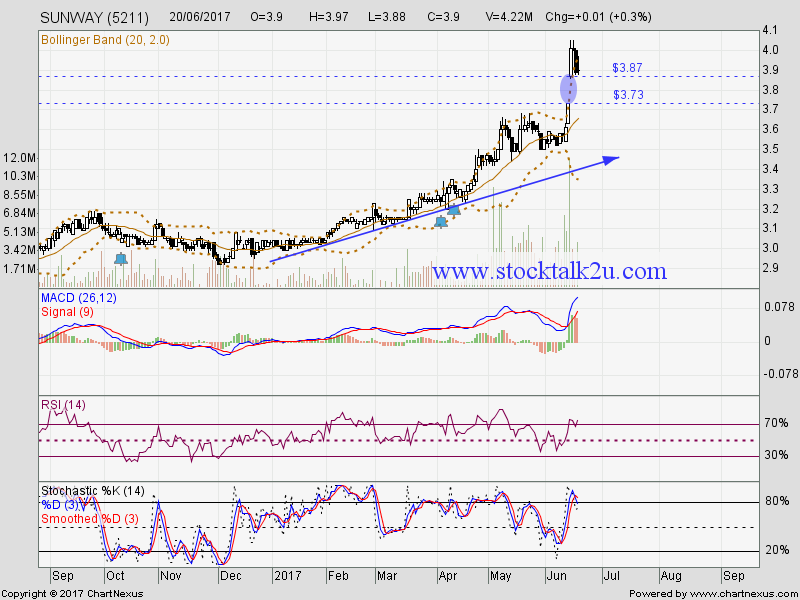 If breakout RM4.05, higher high is form. Uptrend will resume. 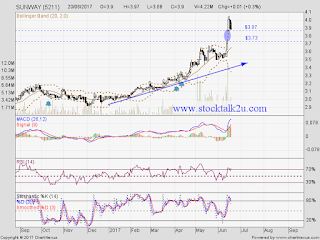 Immediate support @ RM3.87 level. Subsequent support @ RM3.73 level.